Results: Whether gas trapped under a frozen water layer flows through cracks or bursts out depends on the layer's depth and temperature, according to scientists at Pacific Northwest National Laboratory. The water isn't crystalline ice; it is amorphous solid water, which is disordered and often described as a "frozen" liquid. The team proved that in some cases, gases trapped under amorphous water films are released via fissures that form during crystallization. For thicker trapped gas layers, the gas can escape abruptly before crystallization. 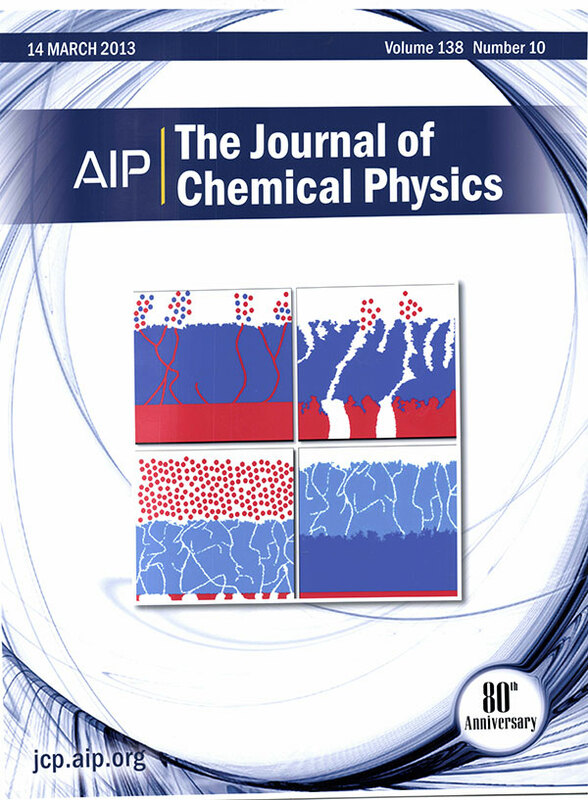 This work graced a cover of The Journal of Chemical Physics. "This study shows the different mechanisms by which the gases can be released," said Dr. R. Scott Smith, who worked on this study. Why It Matters: Comets and glasses. Amorphous solid water does not exist naturally on Earth because of the low temperatures necessary to create and maintain it. However, these conditions exist on other planets and in comets. Understanding the basic principles behind how amorphous solid water releases gases, or doesn't, could answer questions about how astrophysical ices and water on planets form. Here on Earth, amorphous solid water can be used as a model to study the properties and stability of other relevant glasses. For example, glasses are important in disciplines ranging from materials science and nuclear waste storage to drug delivery and pharmaceuticals. Understanding the stability and failure mechanisms in glasses could lead to improvements in their properties. 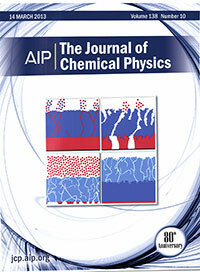 Methods: In this study, the researchers found three major ways that the water films fail and the gas underneath escapes. The first path involves a thin water film and cracks. The second involves a thicker film and pathways through the randomness. The final approach is sudden and violent. First, the team took on the task of understanding the crystallization of thin films of amorphous solid water. Here, the researchers wanted to examine the mechanisms in detail. They created a thin layer of amorphous solid water, about the thickness of 300 water molecules stacked on top of each other. They put a single layer of nonreactive gas molecules under the film. Then, they heated the film and gas to just above the temperature necessary to turn amorphous solid water into crystalline ice. Cracks formed at the surface and worked down to the gas. When the cracks reached the gas, it flowed to the surface. "With these thinner films of trapped gases, the release of the gas happens along cracks formed when the material transforms to the crystalline form," said Dr. Bruce Kay, who also worked on the study. "The release of the gas does not depend on the argon, krypton, or other gases used." For thicker gas layers, the release mechanism does depend on the particular gas. For some gases, when the water was deposited on a thicker layer of gas near 25 K, the water layer wasn't quite so solid. It was filled with gaps or pores that connected together to create channels from the gas to the surface, similar to the cracks seen in the thinner films. "The cracks preexist upon deposition, if you will," said Smith. "That was unexpected, because in some cases the film was very thick." In this case the particular gas influences the morphology of the water layer, creating an escape path for some gases and not for others. When the temperature was raised to between 100 and 150 K, the layer was solid. However, something else started happening prior to crystallization. At the warmer temperatures, the gas under the layer expanded. It then abruptly burst through the water. Rather, the heat causes the gas to build up pressure and push through before crystallization. As different gases generate different amounts of pressure, the temperature of the breakthrough depends on the particular gas. What's Next? This research is part of ongoing U.S. Department of Energy (DOE)-funded work at PNNL to uncover the basic science principles of condensed phases, such as amorphous solid water. Sponsors: This work was supported by the DOE, Office of Basic Energy Sciences, Chemical Sciences, Geosciences, and Biosciences Division. Research Team: R. Alan May, R. Scott Smith, and Bruce D. Kay, PNNL. Found on comets and other planets, amorphous solid water consists of disordered water molecules. In the ice you find in your water glass, the molecules are arranged into a strict, open lattice pattern. Amorphous solid water does not have an organized structure. Scientists create the solid by flash freezing water by vapor deposition at extremely cold temperatures, below 136 K. The extreme cold needed to maintain this glassy material means it is commonly found in outer space. When warmed above 136 K, the amorphous material turns into crystalline ice.